Dr. Carter is a published author who is currently conducting research for a new book on the subject of sensation seeking. Buzz! Understanding Adrenaline Junkies and the High Sensation Seeking Personality (working title) will describe the theory and evidence behind the high sensation seeking personality and outline its advantages, disadvantages, and how to keep it in check. In addition to having dozens of papers published and presented at conferences and symposia across the country, Dr. Carter is the co-author with Colleen Seifert of Learn Psychology (2012), which offers a comprehensive yet accessible presentation of psychology principles, research and theory. 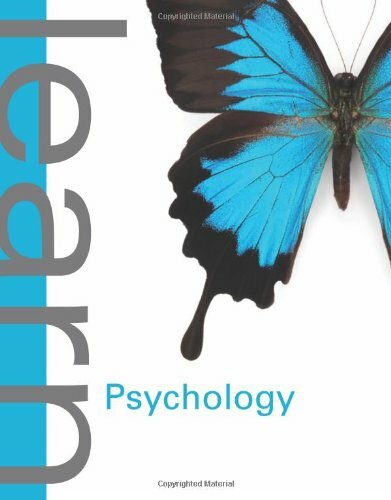 Each chapter covers the topics and concepts of a standard introductory psychology course with associated learning objectives and assessments. Multiple influences are discussed at the end of each chapter. Dr. Carter also authored DSM-5 in Plain English (2013), which highlights and clearly describes the new and modified content found in the fifth edition of the American Psychiatric Association’s Diagnostic and Statistical Manual of Mental Disorders (DSM-5). The text is the companion to a one-day workshop Dr. Carter has developed, which is designed to enable clinicians to effectively apply the changes between DSM-IV and DSM-5 and comprehend what’s new, what’s changed, and what conditions are no longer listed to better serve their practice and their clients.